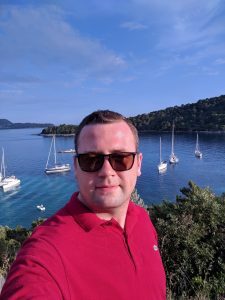 Click on an image to find out how each student found a language learning programme that was right for them and to find out more about their connection with Croatia. Jane Cody (right), on an immersion course on Lošinj island, with Head Teacher, Linda Rabuzin. Jane is a freelance journalist specialising in Croatia. 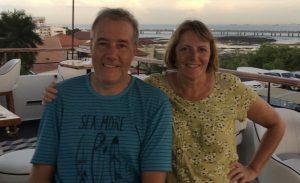 John Glasspool, a retired NHS doctor, loves sailing in Croatia and has been learning the language with a mixture of Skype lessons, immersion courses and Language and Culture trips. Ashley Colburn is an Emmy Award winning TV and film producer specialising in Croatia. She studies the language with a mixture of Skype lessons and immersion weeks on Lošinj island. Andrii Dehtiarov is a Ukrainian living and working in London. He already speaks a handful of foreign languages and chose CLS to help him master his next linguistic challenge. 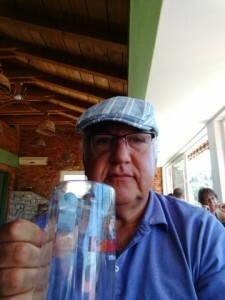 He learns Croatian via Skype and is a regular on the Language and Culture trips. 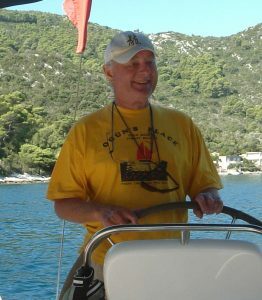 Grant Seuren, originally from New Zealand, runs Sail Croatia with his Danish wife Helle. 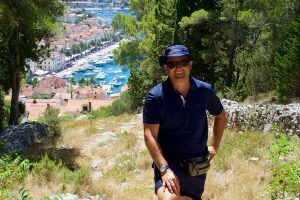 He studies Croatian with CLS via Skype and loves being able to progress in the language in a relaxed and flexible environment. Mike Forbes is a retired naval officer who has also taught sailing. He and his wife, Jan, embarked on a joint venture, with three other families, to buy a yacht which they based in Split, Croatia. It soon became clear that learning the Croatian language would both enhance the experience and assist in dealing with the nautical authorities. Mike learns Croatian using a mixture of Skype lessons and Language and Culture courses. Sara Warby and her husband, Chris, fell in love with the Pelješac peninsula on a sailing holiday in 2003 and spent a good part of the next decade renovating a historic stone property. Sara explains some of the challenges, joys and responsibilities of owning an old stone property and integrating into a small community in Croatia, as well as the advantages of learning the Croatian language and properly understanding and experiencing the Croatian culture.